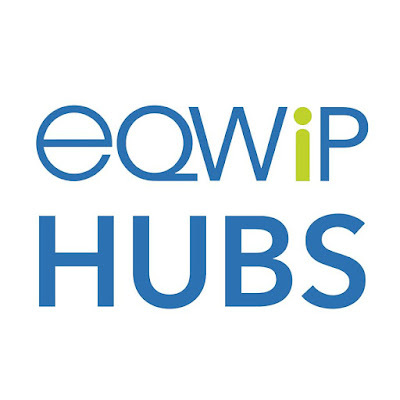 EQWIP HUBS will be a dynamic platform of diverse actors and young people working together to develop solutions to both local and global social, economic and environmental challenges in six countries around the world. EQWIP, an innovative youth serving partnership between Canada World Youth (CWY) and Youth Challenge International (YCI) has brought together a global consortium including UN-HABITAT, TakingITGlobal (TIG) and the Education Development Centre (EDC) to collaborate on this initiative. Through 17 youth centered HUBS in urban areas, participatory programming will support young people in accessing a sustainable livelihood. Through the engagement of a multi-stakeholder HUB Network, EQWIP HUBS will foster a supportive and responsive enabling environment for youth livelihood activities by providing mentorship, coaching and access to capital. The HUB Network will strengthen the capacity of public and private sector stakeholders and civil society related to youth mainstreaming for policies, products and services. EQWIP HUBS is building a team of energetic, skilled and passionate individuals who are motivated by the prospect of exploring new and creative approaches to solving complex global challenges. The HUB Coordinator, reporting to the Country Manager, will provide leadership and management for the local HUB and its associated activities. S/he will support activities to build partner and youth capacity in livelihood development. S/he will establish and maintain positive, collaborative and productive relationships with project staff, implementing partners, youth participants and volunteers. Deadline to apply: Tuesday, September 13, 2016 at 5pm EST. Applications will be considered upon submission. Please submit your cover letter and CV as a one document Word or PDF e-mail attachment to hrindonesia@eqwiphubs.org with “INDONESIA, Surabaya HUBS 1 Coordinator” in the subject line. No phone calls about the position can be accepted. We thank all applicants for their interest; however only those selected for an interview will be contacted. Devjobs Asia Is Based Jobs Humanity, where Devjobs Asia presents information from a variety of sources online quote. Devjobs Asia intend to copy and paste, but Devjobs Asia Inviting members to join in the World Humanity.